Deceptive setting techniques help confuse the block and puts added pressure on the defense. The setter position is a very important position because every time a team is running a play, the setter is responsible for the teams second contact (setting an attacker). The setter is essentially the key player in every rally. Pass, set, hit is the sequence that teams spend hours and hours practicing. The desired result of this pass, set, hit sequence is winning the rally by scoring a kill (the ball is spiked down into the court or off the block and out of bounds, etc). Since the setter is the one player that is always involved in this sequence, it's important to understand how important the setter position is. For example, a great setter can take a bad pass and turn it into a great set. This is a critical skill because the better the set, the better chance the attacker will get a kill. Also, the setter can influence the opposing block and defense. The blocker must make split second decisions for getting in position to block. Is the set going to the middle? Is the set going to the outside? Is the ball being set back? Is the setter front row or back row? 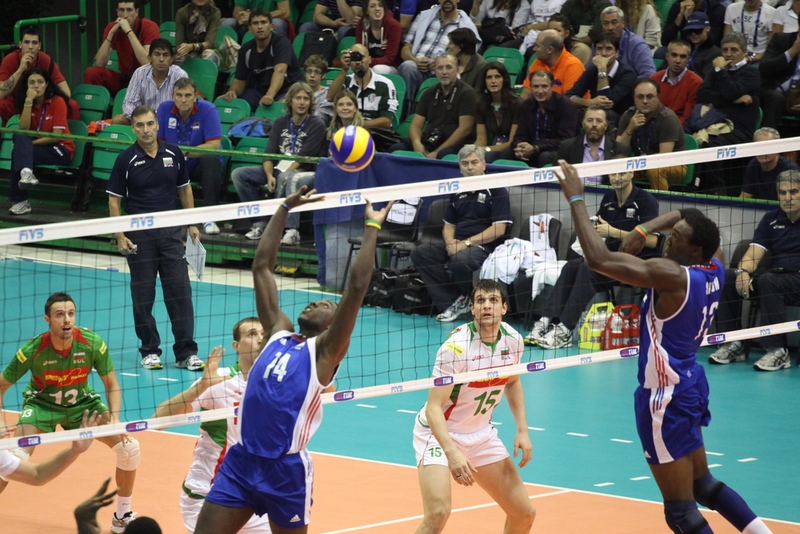 Does the setter like to attack the second ball? The blocker at the net must analyze what is happening and make very quick decisions. This is where the setter can make moves that deceive the opponent. Everything is happening really fast. So just by getting the blocker leaning in the wrong direction, you could end up with the block being late and your attacker ending up with an easy kill. The following are techniques for teaching how to be a more deceptive setter. Practice to get in a neutral position every time you set. Each setter may have a slightly different neutral position. “Neutral” is basically the position where the setter is most comfortable when setting both outside and back sets. The purpose is to be in a consistent position (ball up high, straight above the setter). When the contact position for both the outside set and back set look identical, the opponent will have a much tougher time anticipating where the ball will go. Therefore, contacting the ball in more of a “neutral” position will make it more difficult for the opposing block to get a good read on where you are going to set the ball. Just fractions of a second can make a significant difference in whether or not the block gets in good position to make the play. Another strategy is to wait as long as you can before you turn and get in position to set. The longer the setter waits to get in position, the less time the opponent has to read what’s happening. Setting the ball on the way down is a tactic used to throw off the “timing” of the block. It can also be deceptive, because any time the setter uses a different movement, it’s going to be harder for the opponent to figure out what is going to happen. It’s important to add in some deceptive moves when the setter has become predictable and easy to read. This can be especially important for when the opposing team is in a rhythm with blocking and playing defense. Just by executing a couple deceptive moves, you will likely get the opponent thinking more and questioning themselves more which will lead to making poor decisions. So be sure to execute a deceptive move every once in a while to throw off the block. In my new setting videos, you're going to learn 34 setting drills that focus on training your setter. Discover how to develop softer hands with a quicker and cleaner release. See the exact drills I use for training a setter in a team practice. Also, discover how to practice setting on your own without a net. 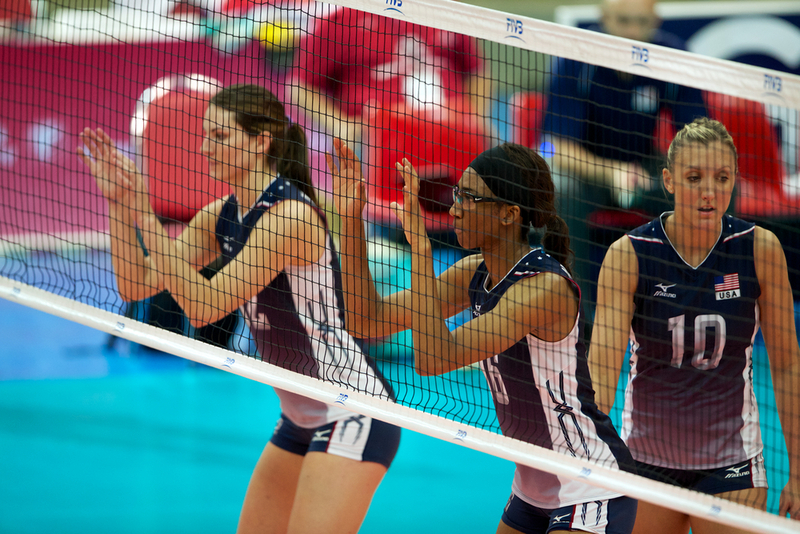 We all know that footwork in volleyball is critical. Learning the correct footwork for setting is especially important. Discover the correct movements to get in position to set and the key techniques for emergency setting situations.